Newark, CA – June 29, 2017- NAI Northern California, the Bay Area presence for NAI Global, the largest commercial real estate brokerage network in the world, is proud to announce the $13.6 million sale of a neighborhood center, Newark Square Shopping Center. Vice President, Mary Alam and Investment Advisor, Joshua Ballesteros represented both Buyer and Seller in this off-market transaction. “With 26 tenants and approximately 40 years of operating history, we are pleased to have helped our Buyer and Seller in evaluating, managing, and communicating the large amount of data associated with this property,” said Alam who, with her partner, Joshua Ballesteros, managed this transaction over a long and often challenging eight-month escrow. “We are thrilled to have closed this sale to everyone’s satisfaction,” she added. Newark Square includes six buildings spread over three separate parcels with a total lot size of approximately 5.1 acres. The center which was constructed in 1960, hosts a number of long-term, stable tenants with below-market rents and NNN leases, and offers ample parking and prominent signage. Tenants at the property include well-known franchises such as Subway, Round Table Pizza, Taco Bell, Carl’s Jr., and Check Center. The latter three tenants occupy their own separate retail pads. “The property is a neighborhood center with services that cater to the daily needs of the local population. With the projected continued growth of the Fremont-Newark corridor, it is expected that demand for these services will increase as the area draws more residents to its relatively affordable housing and its easily accessible location,” said Alam. 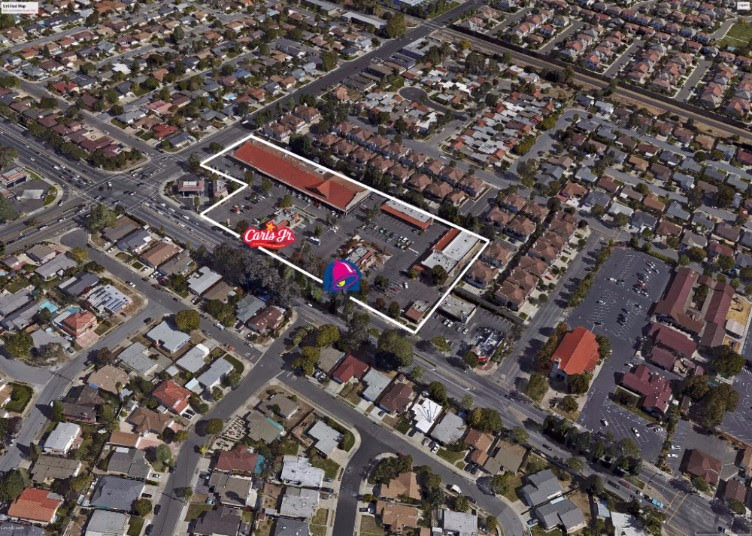 Located on 5510-5650 Thornton Avenue in Newark, CA, Newark Square is a 50,047 square foot neighborhood shopping center located less than one mile away from the I-880 Nimitz Freeway and the intersection of Thornton and Cedar with an average daily traffic volume of 21,548 visitors. The area boasts a population count in excess of 160,000 people within a three-mile radius and a healthy average household income of $115,000.